The reserve ripcord handle can be an ordinary D-ring handle or pillow type handle with hard insert. 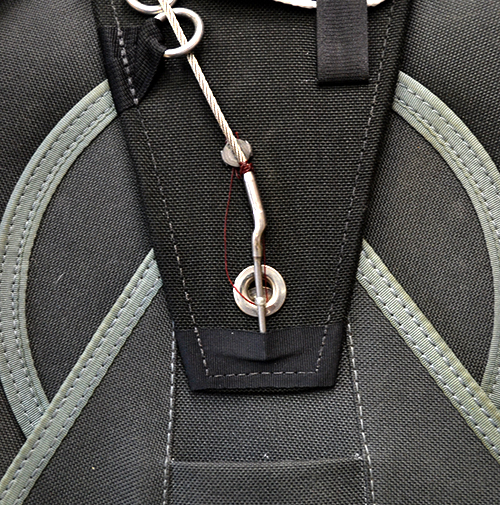 Ripcord handles are absolutely identical in strength, the only difference is comfort in taking the grip and making the reserve pull. The D-ring is easier to take a grip and pull than the pillow. There are two sizes of D-ring available – standard and enhanced. 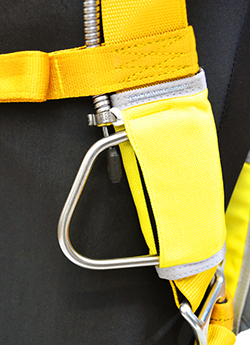 The handles of enhanced size are employed for some student and tactical systems. Warning! 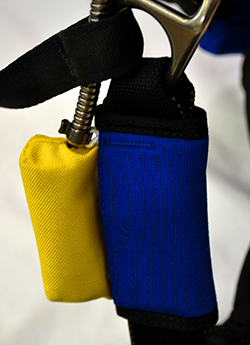 Despite the fact that we use a stiff insert in the pillow handle to facilitate the hand grip, we DO NOT RECOMMEND to use the handle for parachutists who do not have experience in cutaways.